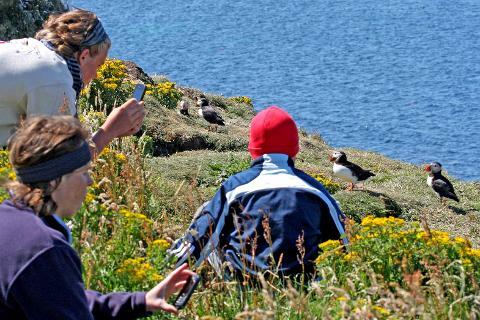 Our highly recommended tour for the chance to spend time with Puffins, view Eagles, Sealife whilst combining Staffa & Treshnish Isles. 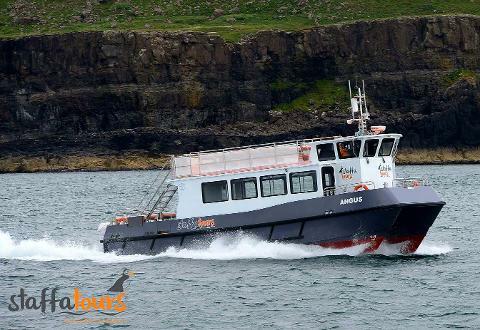 On this tour you will sail on our brand new and the largest and fastest vessel to operate trips to the Treshnish Isles and Staffa. The journey around Mull's west coast from Tobermory with its abundance of wildlife and stunning views takes us around one hour thanks to our modern vessels speed and stability; offering you a comfortable journey to enjoy the dramatic surroundings and thus giving you the advantage of having more time and more opportunities to sight wildlife and explore the unspoilt Islands when you choose this tour. 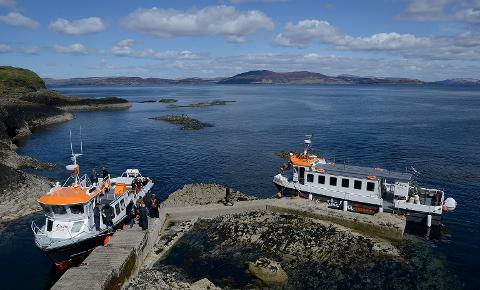 This popular tour leaves from Tobermory, an easily accessible location with great transport links and commodities making it the heart of Mull, as well as travelling via Kilchoan, Ardnamurchan on mainland Scotland, and provides the perfect destination points to enjoy an excursion suitable for all the family to enjoy the Treshnish Isles and Staffa as well as taking in the picturesque town of Tobermory. 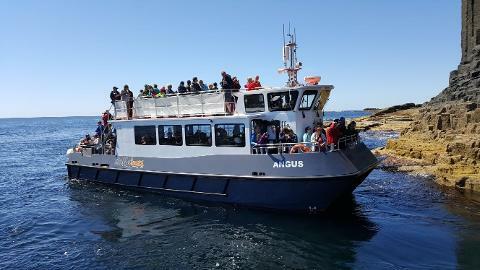 On this tour we cruise to the Treshnish Isles and Staffa, en route always on look-out for sightings of Whales, Dolphins, Basking Sharks, and Sea Eagles which are iconic to the North-West coast of Mull. 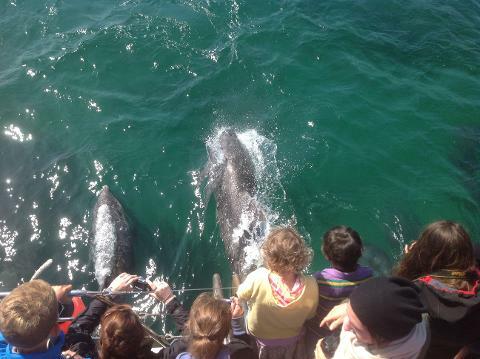 If spotted you will be given ample time to enjoy being in the company of these spectacular animals. After a short one hour sail, we land on the idyllic Isle of Lunga, the largest of the Treshnish Isles. 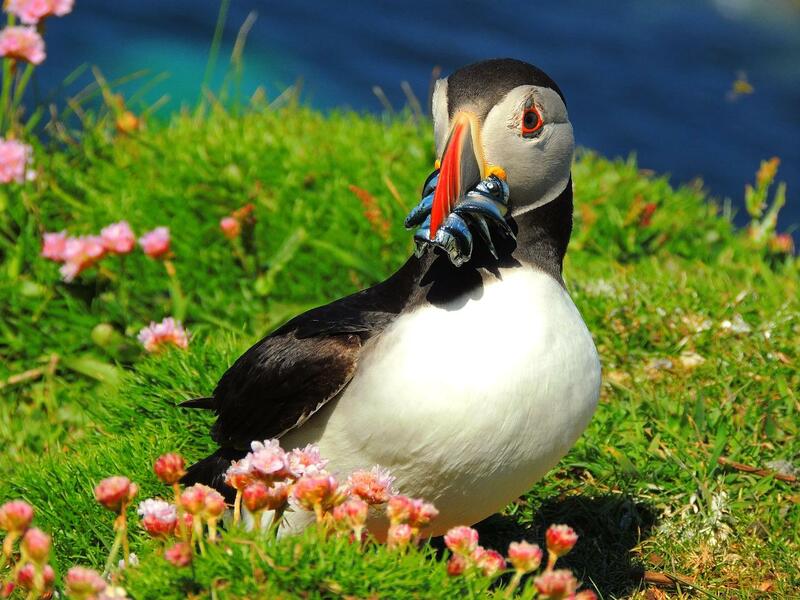 Surrounded by wildflowers and stunning scenery, the main attraction that can be seen close up is the large Puffin colony nesting in burrows in the grassy hillside, these comical birds are incredibly inquisitive and will come within a few metres of you. Lunga is also a popular habitat to an ever increasing number of Guillemot, Razorbill, Kittiwake, Fulmar, Shag, Great Skua and a Seal colony. After spending up two hours ashore exploring the Treshnish Isles, we take the short 15 minute crossing to the geological wonder of Staffa, culminating in a visit to the world famous Fingal's Cave, as visited in 1829 by the world famous composer Felix Mendelssohn. 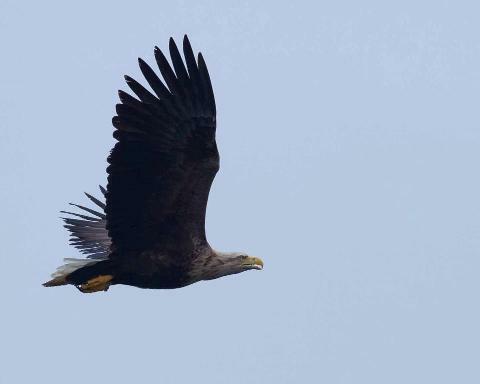 Returning home gives you further opportunity to stop by our local White - tailed Eagle nest and enjoy the magnificent surrounds of Coll, Tiree, Calgary beach, Ardnamurchan Lighthouse and the beautiful small isles to the North and another chance to sight our iconic marine mammals! This tour is highly recommended for passengers staying in the north of Mull and in Ardnamurchan, sailing directly from Tobermory saves many hours of driving to our other departure points. 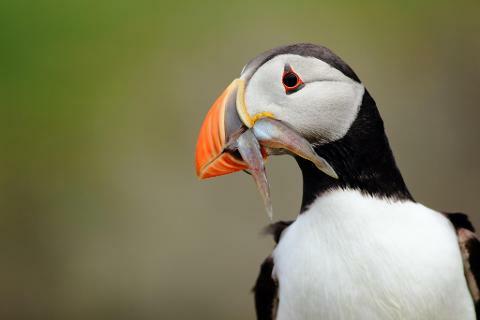 The Journey from Tobermory/Kilchoan to the sea life feeding grounds and the Treshnish Isles takes us under one hour thanks to our modern vessels speed and stability, thus giving you the advantage of having more time to sight wildlife or explore the unspoilt Islands when you choose this tour. Please note, before booking you'll be asked to select if you are boarding at Tobermory or Kilchoan. 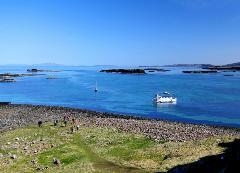 This tours departs Tobermory at 09.45, and Kilchoan at 10:00, returning around 16:45.